Once upon a time in Lankhmar, City of the Black Toga, in the world of Nehwon, two years after the Year of the Feathered Death, Fafhrd and the Gray Mouser parted their ways. Exactly what caused the tall brawling barbarian and the slim elusive Prince of Thieves to fall out, and the mighty adventuring partnership to be broken, is uncertainly known and was at the time the subject of much speculation. Some said they have quarreled over a girl. Others maintained, with even greater unlikelihood, that they had disagreed over the proper division of a loot of jewels raped from Muulsh the Moneylender. Srith of the Scrolls suggests that their mutual cooling off was largely the reflection of a supernatural enormity existing at the time between Sheelba of the Eyeless Face, the Mouser’s demonic mentor, and Ningauble of the Seven Eyes, Fafhrd’s alien and multiserpentine patron. The likeliest explanation, which runs directly counter to the Muulsh Hypothesis, is simply that times were hard in Lankhmar, adventures few and uninviting, and that the two heroes had reached that point in life when hard-pressed men desire to admix even the rarest quests and pleasurings with certain prudent activities leading either to financial or to spiritual security, though seldom if ever to both. I would be hard-pressed to say when I discovered Fritz Leiber. It was, as likely as not, in high school. I can’t say that I ever read much in the way of fantasy — yes, I’d read Tolkien, I’d read C.S. Lewis, but usually the fantasy environ did very little for me. Elves? Dragons? Orcs? Magic and wands and rings? Sure, I played Hack, that predecessor to NetHack as something of an addiction — and Hack was nothing but a fantasy dungeon crawl — but actually reading fantasy? It wasn’t me. Fritz Leiber, however, was different. Magic? Sure. Wands and rings? Absolutely. Dragons? You’ve got to be kidding me. Leiber did something different with his fantasy. He wrote very human fantasy. Fafhrd and the Mouser weren’t heroes out to save the world. No, they wanted to get rich, find some willing woman for a night of fun, and a bar where they could drink themselves stupid into the wee hours of the morning. Fafhrd was the barbarian from the Cold Wastes, the Mouser was a failed wizard’s apprentice who was quite adept at swordplay. And the stories of Fafhrd and the Mouser were just amazing. Killer monks. Giant rats. Time travellers. Atlantis. Even dimensional travel to the era of the Crusades. Leiber’s words had poetry to them, and I soaked it all in. Tolkien may have written fantasy in the style of a High Medieval romance, but Leiber brought it down to an entirely different level, an entirely relateable level. Fafhrd and the Mouser have gone their separate ways — Fafhrd becomes an acolyte to a wandering preacher on Lankhmar’s Street of the Gods, while the Mouser takes up employment as an enforcer for a local crime boss who likes to shake down Lankhmar’s godmen. And thus is a confrontation between two former friends — Fafhrd and the Mouser — born. Leiber’s writing here is poetry. The three paragraphs quoted above give some of the story’s flavor. The whole story is like that, told in a certain detached, yet wry, style, almost as if it’s a fable or a story passed from one person to another. Yet, for all that detachment, for all that the story lacks dialogue, Leiber never misses his emotional mark. This story is nothing short of hilarious, from Fafhrd picking up the lyre to the story of Issek the Jug to the final chaotic climax. Leiber has such an eye for characterization, for setting, for place that the story is impossible to forget. There’s almost nothing fantastical about the story, save that it occurs in a city that never existed on a world that exists nowhen. Yet, that’s the story’s strength — because these characters, so sharply rendered, are so vivid and so real that they could be anyone, anywhen. The fantasy world of Lankhmar is merely a backdrop to the very human — and very funny — story that Leiber tells here. I’ve always loved this story. I always will. It is, no doubt whatsoever, my favorite short story ever. And the comic adaptation by Howard Chaykin and Mike Mignola is worth reading as well. Chaykin adapts this largely dialogue-free story into a more standard narrative, and Mike Mignola was born to draw Lankhmar. His moody artwork is exactly how the world of Fafhrd and the Mouser should look. Dark Horse Comics should receive a special Nobel Prize for Literature for collecting those nearly twenty year-old comics for a new readership. “Lean Times in Lankhmar.” My favorite short story. One of the greatest short stories written, by one of the truly great writers of the twentieth century. Some might think I’m going out on a limb saying that, but I’m not. 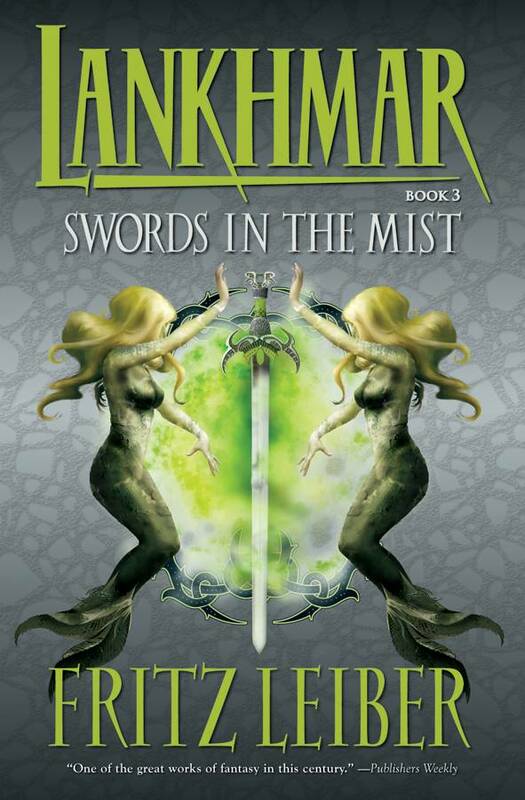 Read “Lean Times” in Swords in the Mist, and then tell me I’m wrong. I don’t think you will. More people need to read Fritz Leiber. Anyone with an interest in fantasy literature needs to read Fritz Leiber, needs to enter Lankhmar. That’s all I have to say.